Buy now at the TSTC Waco Bookstore. additional information including a comprehensive listing of instructional programs, major employers and industry-related websites/blogs. Whether you’re a high school or workforce counselor looking to steer people into a career field best suited for them, a mid-life career changer, or just want to learn more about the state of the industry, the TechCareers series has the information you need. Wind energy is leading the way to a greener future, causing a great demand for qualified technicians. Opportunities are on the rise for careers in alternative energy solutions. Though well known for his questionable antics in fighting windmills with his sword, Don Quixote was not the first man in history to take on wind energy. Hammurabi, an ancient king from the 17th century B.C., first used this energy source to provide power for irrigation projects in his kingdom. It was not until the 12th century A.D. that the kind of windmills Quixote tried to fight was seen in Belgium and the Netherlands. In 2007, the American Wind Energy Association found the wind industry in America had grown by 45 percent. After a disastrous 2005 hurricane season that wiped out a lot of the oil and gas production of Houston, Texas, that city’s council decided to look to wind power for its energy needs. According t o the American Wind Energy Association (AWEA) in the most recent U.S. Bureau of Labor Statistics, an estimated 85,000 Americans are currently employed in the wind power industry and related fields. Many workers are found on wind farms, which are frequently located in the Midwest, Southwest, and Northeast regions of the United States. Hundreds of companies are currently dedicated to the generation of wind energy and from 2005-2008, the United States led the world in wind power generation. More than 16,000 companies now employ more than 1 million people in manufacturing equipment and other product that support wind energy generation. Wind Field Tech – These trained technicians spend their time monitoring and maintaining wind turbines. Although a bachelor’s degree is preferred, it is also possible to gain employment with an associate degree or certificate because of the increasing need for professionals. Wind field techs, or wind turbine techs, can earn an average of $36,000 a year. Project Manager – For this job, you have to like traveling. Project managers visit various wind farms throughout the United States, supervising projects from beginning to end. People with an earth science or management degree are the ones most easily hired. The average salary range is $50,000-$60,000. Wind Analyst – If you like to research, this is a great job. Wind analysts spend their time looking at weather data relevant to the maintenance and performance of a wind farm. Like the project manager, more schooling is favorable when being considered for the job, and the salary runs around the same average – $50,000–$60,000. Wind Farm Manager – These experts have to handle a lot and get paid accordingly. Wind farm managers cover all the operations of the wind farm, including hiring, finances, training and scheduling. Their average salary is $70,000–$90,000. 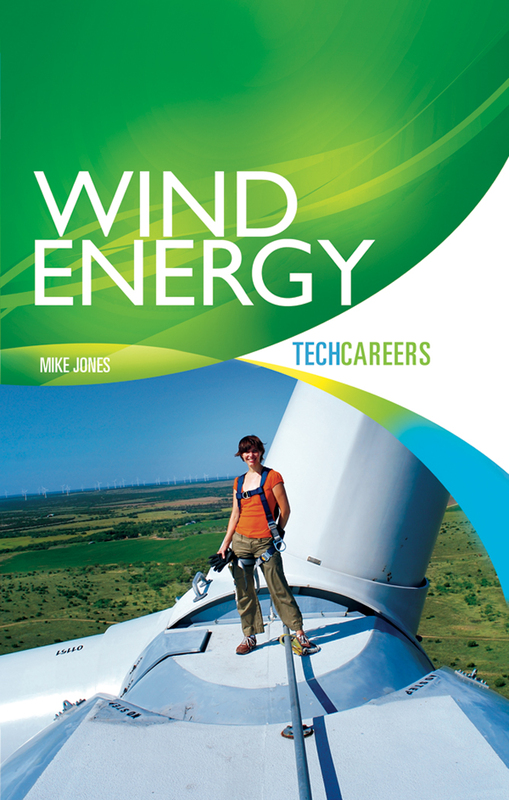 From detailed descriptions of wind energy careers and educational requirements to profiles of wind energy technicians, TechCareers: Wind Energy gives a comprehensive view of the industry, including a list of wind energy technician recruiters and wind energy programs across the nation. Mike Jones is a freelance writer based in Waco, Texas. Jones also is the author of the forthcoming TechCareers book, Graphic Design. He is a transplant from New Mexico, where he graduated from the University of New Mexico in Albuquerque with training in writing for theatre and broadcast media. He worked extensively in the broadcasting, advertising and marketing fields prior to relocating to Texas to work as a writer/producer of instructional and student recruitment videos for Texas State Technical College. More recently, he has been involved in technical instructional curriculum research and development, as well as freelance media writing and production.